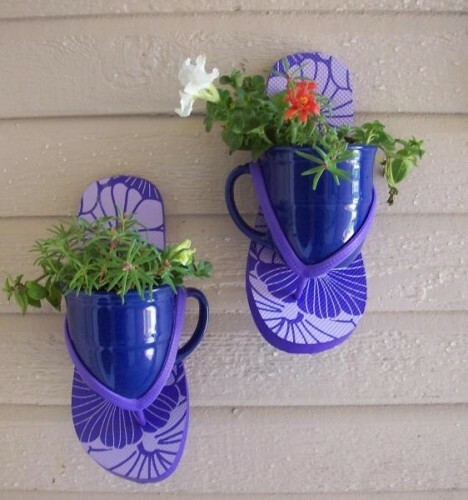 Creative Planters – Why Didn’t I think of That? 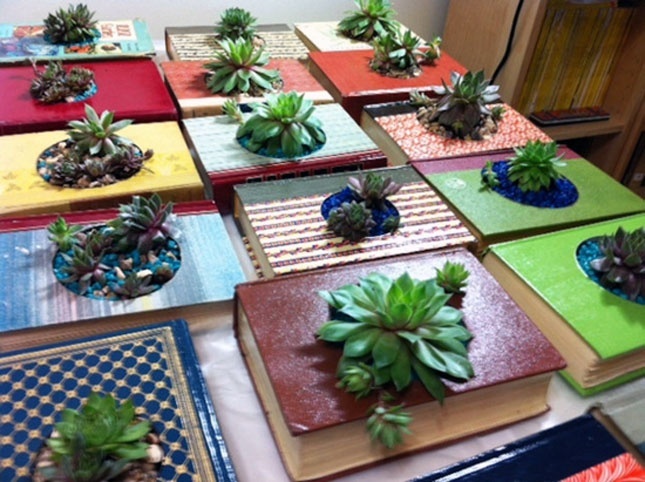 It seems that almost everything that is found around the house can be turned into creative planters. No matter how large or small, a plant seems to be able to find its way into anything with an opening large enough to put in some soil. 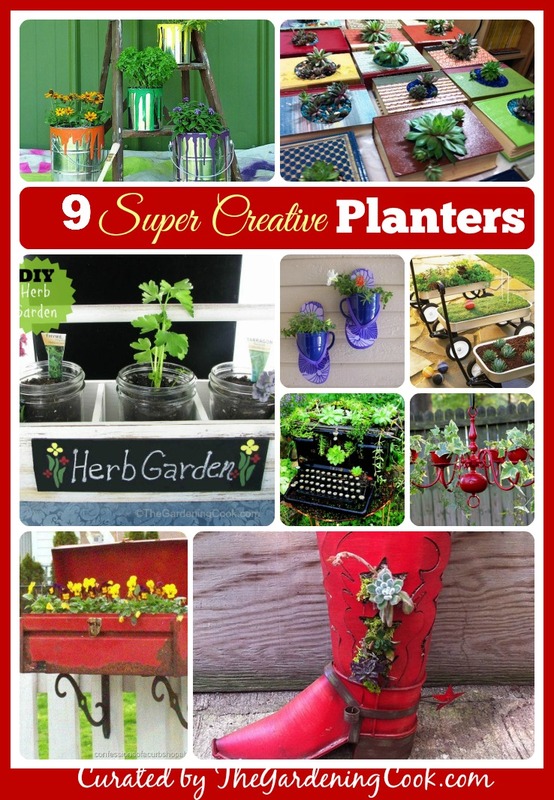 My favorite Creative Planters – Re-purposing in Style. In case you haven’t noticed, spring is either here or almost here in most parts of the country. And when spring comes, the garden centers are full of the prettiest plant choices. And what is a pretty plant without a pretty planter to put it in? Here are some of my all time favorites. They are by no means the only options available. The sky is the limit on creativity it seems. Just have a look around the house or in that pile destined for donations. 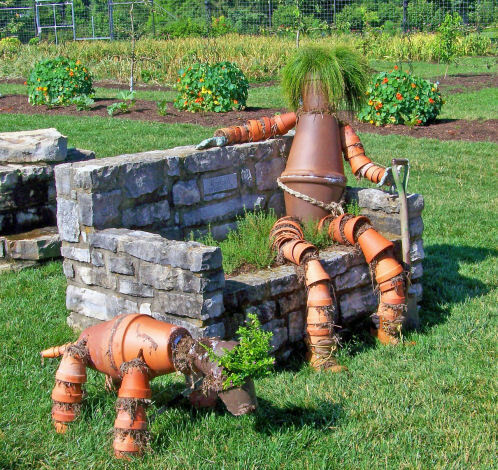 There is sure to be something in the group that would make a great planter. This is my all time favorite. I discovered it at a Plant shop in Greensboro, NC, called Plants and Answers and it gave me the inspiration for this article. I love the way the holes on the side hold some small plants too! How adorable is this. Terra cotta plant pots are assembled in the shape of a dog eating and a man sitting on a wonderful stone chair. I need this in my garden! Public domain Image shared from Pixabay. 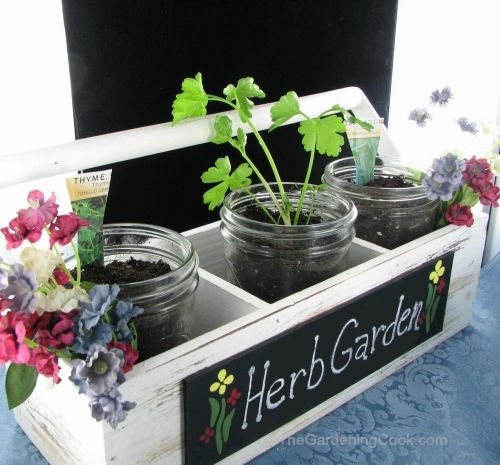 What a great way to keep your favorite herbs right where you need them – in the kitchen! This neat DIY project is made with mason jars and a half price farmers market holder. Get the directions here. 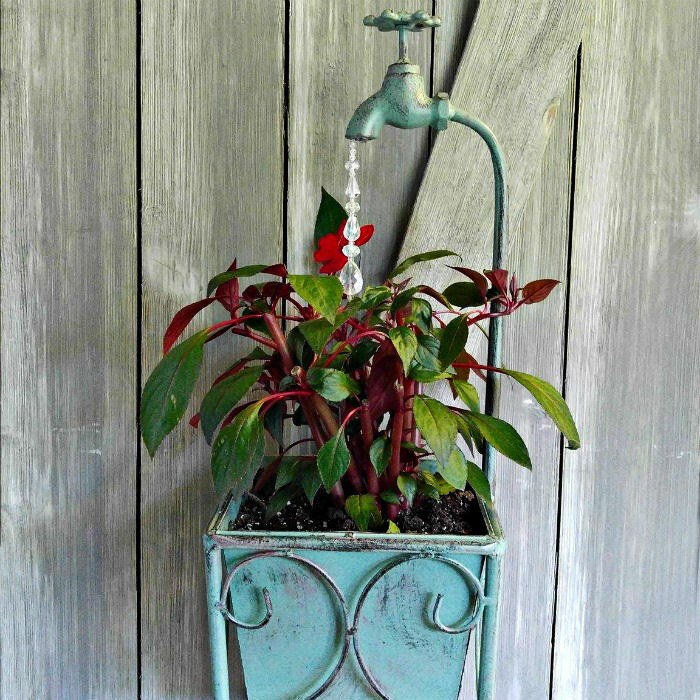 This adorable water spout planter is made with an old vintage necklace and some tear shaped glass beads. Fast easy and so cute! Got a pair of flip flops and a mug that matches? Use them on a garden shed wall to make the cutest planter ever! 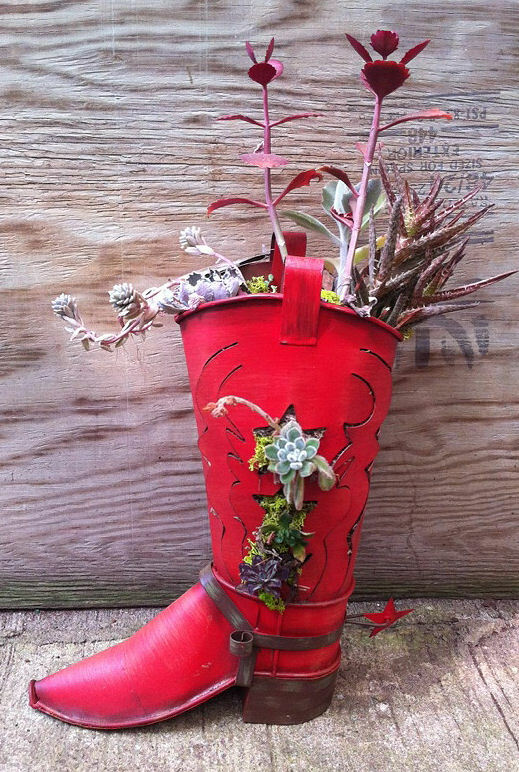 Check out some more creative shoe and boot planters here. Do you have an old chandelier that is not being used? 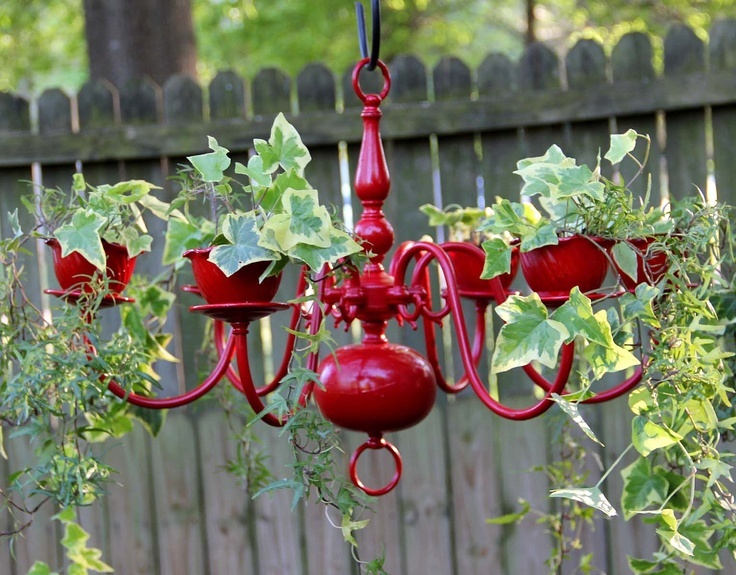 Plant the bulb areas with hanging ivy for a spectacular effect. Make your own, or this one is available on Etsy. 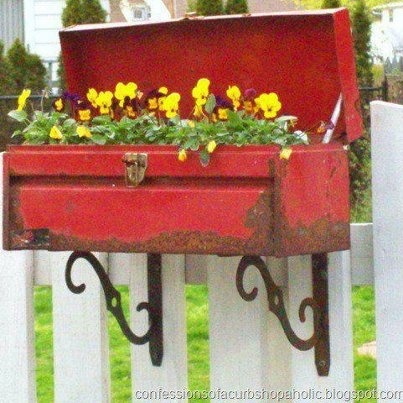 If you love the rustic effect, this tool box turned into a planter is the one for you. Attach it to a picket fence and plant away! Source: Confessions of a Shopaholic. 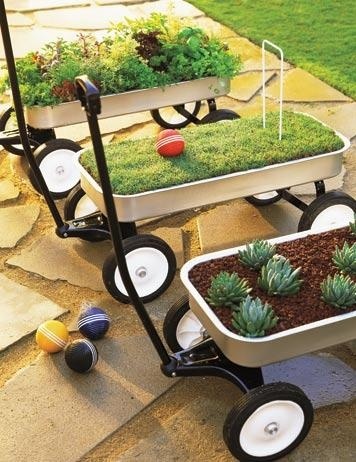 Children’s Outgrown wagons make great movable planters. Just wheel them around to water or avoid the sunlight! Source: The Family handyman. Are your manual typing days long gone? 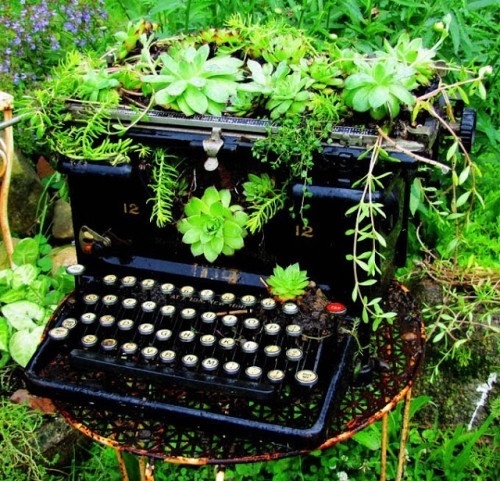 If you have an old vintage typewrite, you could sell it on Ebay or you might want to try making it into a planter instead. 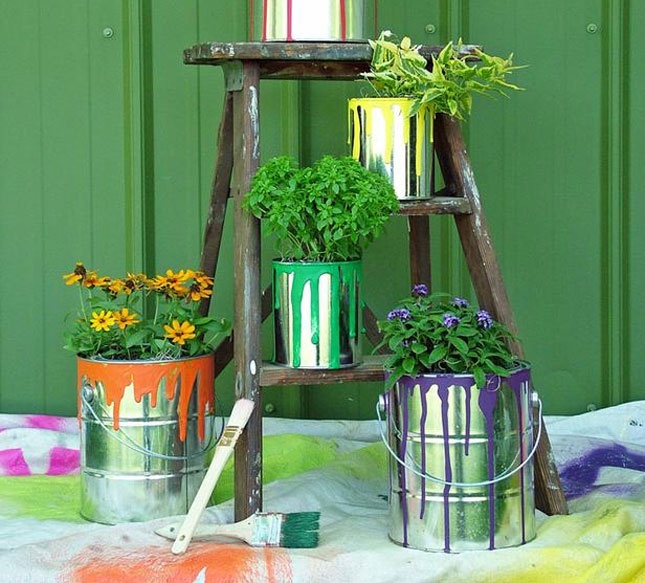 What have you re-purposed from around your house to make into creative planters? Please leave your ideas in the comment section below. What fun. Let us know how they turn out! I like the bird cages to turn into planters but wonder how to keep the soil from falling through the gaps? Most of the bird cage planters that I have seen put the whole pot into them, but you could also use layers of spaghnum moss to hold in the soil.